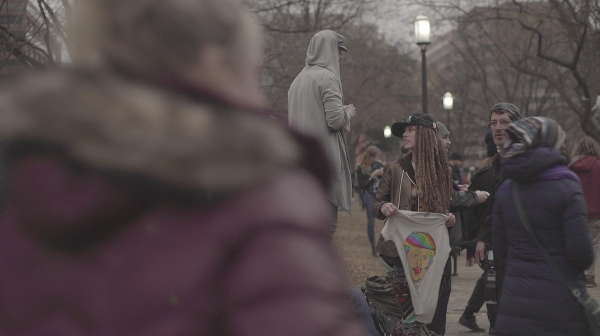 Iva Radivojevic shares her experiences over two contrasting days in Washington, D.C., and looks ahead to what is next for the resistance. 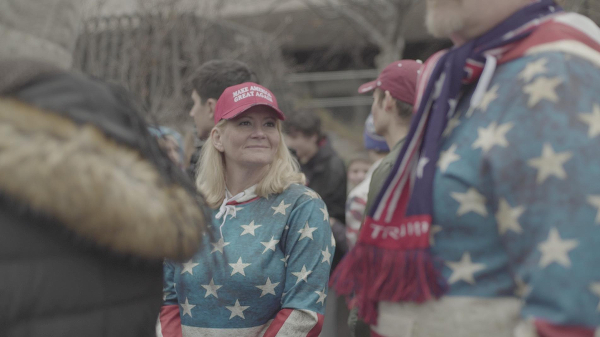 On Friday, January 20, I spent about 9 hours on the streets of Washington, D.C. First I was sandwiched between a group of teenagers wearing “Make America Great Again” hats singing Queen’s “We are the Champions.” Or sliding by “Seek the Living Jesus” people preaching to other Trumpers why Trump is the Savior – all of which felt weird and ominous. Then I joined the resistance in and around McPherson Square. It felt disjointed and hopeless, if only because of low numbers (at least by the time I got there). 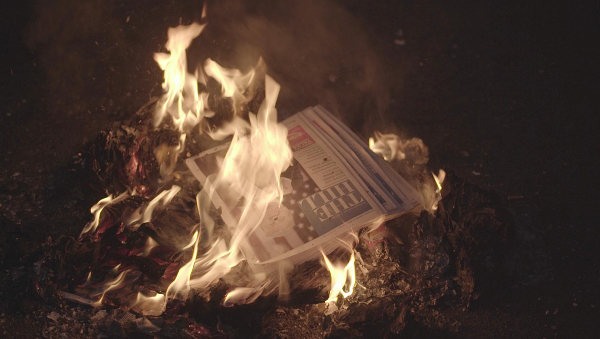 As the evening approached, the streets filled with (mostly white) people dressed in evening gowns and tuxedos returning from the Inaugural Ball, while the protesters lit trash fires and congregated on the streets. Unlike many, I wasn’t appalled by the violence that took place earlier in the morning – a couple of cars burned, a few windows smashed – nor was I appalled at the attack on Richard Spencer (consider the context). Even with how despondent I felt on Inauguration Day, I knew the following day would be better. It felt good just to think about it. And then it came. They say more than 500,000 people showed up in Washington, D.C., and that just as many came out in L.A. and New York City. 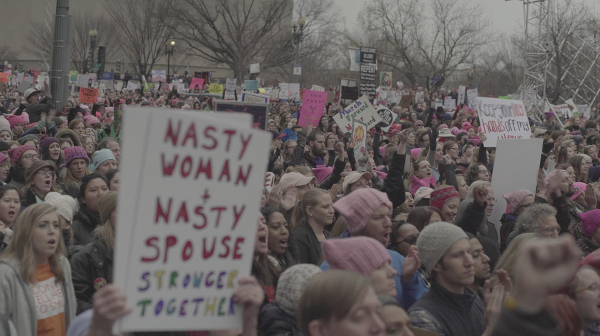 In total, more than 3.6 million people took to the streets – Chicago’s streets, Boston’s streets, San Francisco’s streets, streets all across the U.S. and across the world. If you were out there on any of those streets, you participated in what was apparently the biggest political protest in the U.S. ever. It felt good to be surrounded by thousands of people who shared my thoughts, my fears, my anger and my enthusiasm. It felt good to listen to six-year-old Sophie Cruz shout: “We are here together making a chain of love to protect our families … I want to tell the children not to be afraid, because we are not alone. 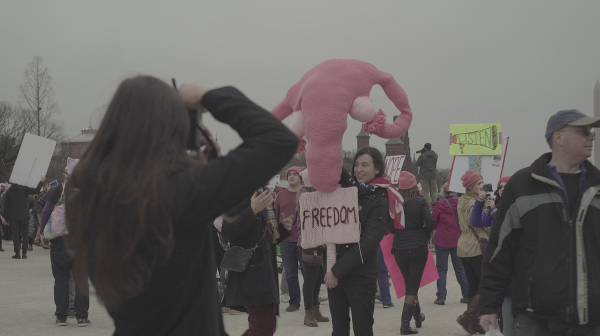 There are still many people that have their hearts filled with love and tenderness … Let’s keep together and fight for the rights.” The crowd broke into a quiet hypnotic chant: “Sophie, Sophie, Sophie …” I cried then, and I cry every time I’ve heard it since. It felt good to see so many causes come together – Black Lives Matter, Immigrant Rights, LGBTQIA Rights, Reproductive Justice, Native American brothers and sisters, Muslim brothers and sisters, and others. I can’t candy-coat it all the way, though. Carl Sagan said: “Both skepticism and wonder are skills that need honing and practice.” I had to gather my skepticisms. As I stood and listened to Tamika Mallory speak, to Alicia Keys speak, I looked around, my camera searching for reactions in the crowd. I was hard pressed to find black and brown faces. Yes, there were people of color representing. But Washington, D.C. had never looked so white to me before. And I wondered about all the rest of our sisters and brothers and what feeling of exclusion propelled them to choose to stay home. As I stood and listened to the speeches, I took note of Michael Moore. He is doing incredibly important work. He has a fantastic and relentless mission to mobilize and politicize. His “To Do Lists” are invaluable. 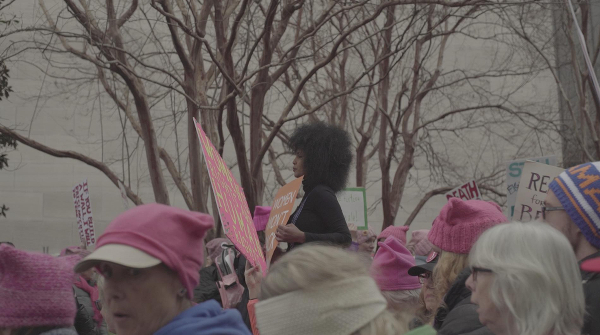 But I wondered why at a Women’s March, Michael Moore – a white male – would spend more time at the mic than Angela Davis, Tamika Mallory, Janet Mock and Gloria Steinem put together. As I marched along with thousands of sisters and brothers, I was happy to see masculinity represented in the numbers. But I also wondered how many of those men truly understood the frustration. I know quite a few men who would label themselves feminists only to assert themselves, completely unawares, in the most chauvinistic of ways. I can only imagine how painfully frustrating it feels for the Black community, because whites fail to understand and continue to assert themselves in the most ignorant ways. I include myself in this ignorant equation. However, “None of us comes fully equipped.” (Carl Sagan again.) We are all fallible and we all have a lot to learn. We all need to grow still. We need to be able to self-reflect. To pay attention. To ask ourselves how we are listening to one another. Not in defensiveness, but in gratitude. 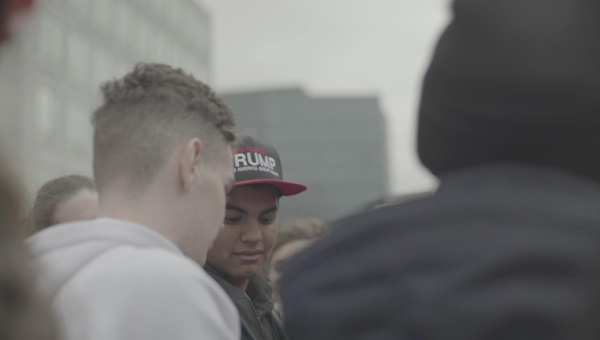 What I loved about the march is seeing so many coalitions existing together and simultaneously critiquing each other. Different and united. 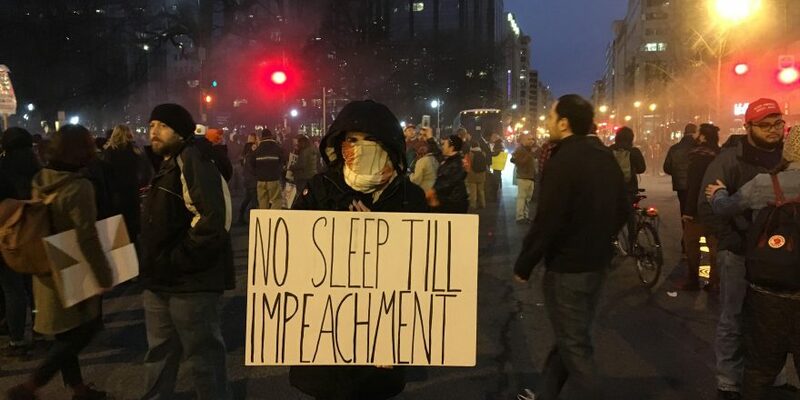 NO SLEEP TILL IMPEACHMENT. MAKE AMERICA THINK AGAIN. THEY TRIED TO BURY US, THEY DIDN’T KNOW WE WERE SEEDS. 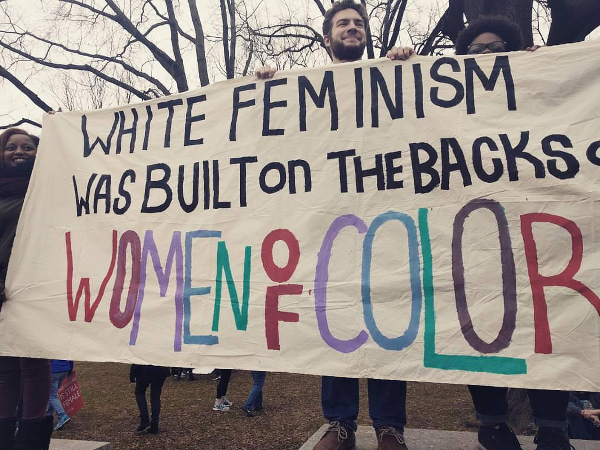 There were also signs that reminded us of these truths: WHITE FEMINISM WAS BUILT ON THE BACKS OF WOMEN OF COLOR. I’LL SEE YOU NICE WHITE LADIES AT THE NEXT #BLACKLIVESMATTER MARCH, RIGHT? As terrifying as the next four years are going to be, in this sense, Donald Trump’s presents us with an opportunity. Those of us who have been sleeping, are sleeping no more. There is now a very strong chance we can unify a historically divided left, as long as we can make those coalitions work. We will only succeed if we stand together in our efforts, and if our words are followed by our actions. Women need men on their side. Blacks need the support of whites. Indigenous communities, immigrants, Muslims, LGBTQIA individuals need the support of all of us. And then, there is that question that everyone is asking: “What’s next?” Well, there is Google, and I’m keeping myself busy searching for answers. Michael Moore has plenty of great ideas on how to get involved. (Follow his Facebook or Twitter posts for insights on the 100 days of resistance; he has specific action plans listed there.) The New York Times has already covered ways in which all the groups are organizing. Choose your level of involvement. We are all busy trying to survive, feed ourselves and attend to myriad problems. But we must try to participate. If you’re not the person to be calling senators or going out to the streets, you can do the simple thing and donate to Black Lives Matter, Planned Parenthood or whatever cause you believe in so they can do the work. Choose to host a woman traveling from out of state because she cannot seek an abortion in her hometown. Subscribe monetarily to your media outlet of choice. Journalists are under vicious attack from this administration. It’s dangerous and we need to protect freedom of the press. Chase is funding the Dakota Access pipeline – it’s time to switch banks! I’m a filmmaker and an artist and I take this to heart. I come from a wartorn country that no longer exists. I’ve been an immigrant in multiple countries since my birth country dissolved in 1992. After 17 years in the U.S., I’m now an American. The ink is still wet on my Naturalization Certificate. I’m excited about the future and I’m excited about whatever small contribution I can make to its betterment. The pendulum will swing in the other direction, away from Trump. It’s a matter of time … we just need to direct it.